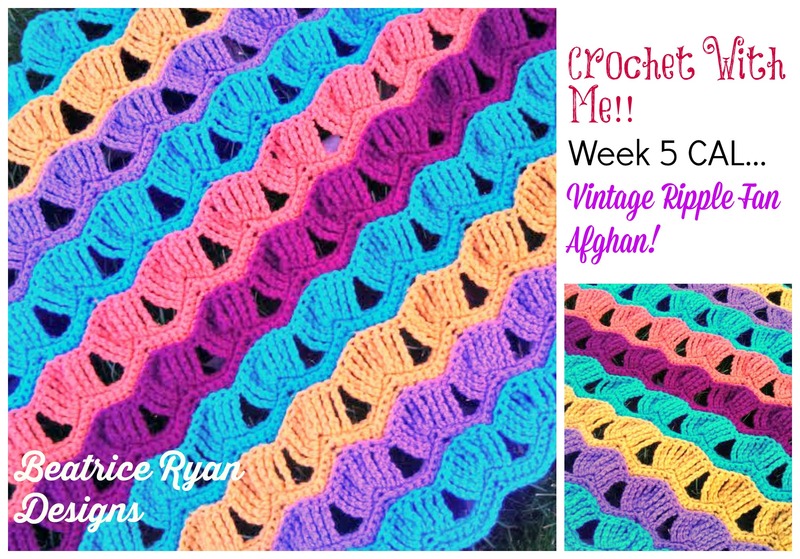 If you love to crochet afghans,,, Join me each week to work on our current Crochet~A~Long!! 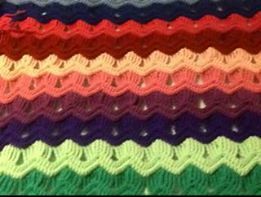 Currently we are working on a Vintage Fan Ripple Afghan… We are approaching the half way mark, so it’s still not to late to join in on this fun project!! If you are participating don’t forget to email your progress photos in so we can all share!! Here are last weeks progress pictures…The first one is mine and below that is two of our friends wonderful progress photos!! 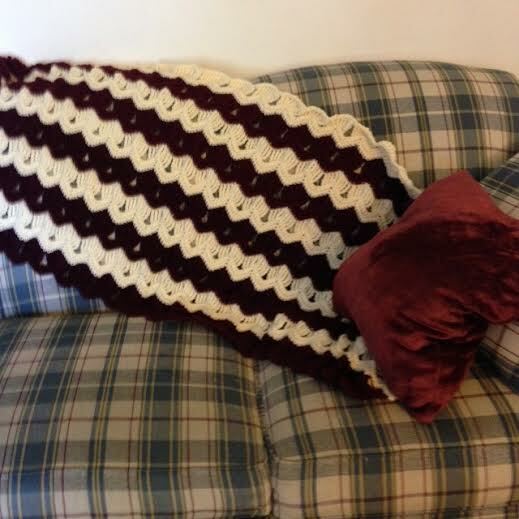 This pattern is very easy and looks great… It is a vintage pattern, and we are using A Creative Being’s updated pattern for this project… To stay connected and get all the weekly pattern assignments… Click on the Crochet with Me tab at the top of the page!! I would love to hear how your project is coming along… and in the next couple weeks I will have a poll to vote for our next Crochet With Me project!! So stay tuned!! This week is a busy week for most of us… With Halloween in the mix,,, I am sure we will all be making costumes, going to parties and getting our little ones ready for some fun… I will be traveling to see my oldest daughter and grandson for the weekend… So lets do 2 more color segemnts!! Segments 11 & 12 will get us through this week… YAY!! I hope you are loving this!! I hope to see my email filling up with your progress pictures!